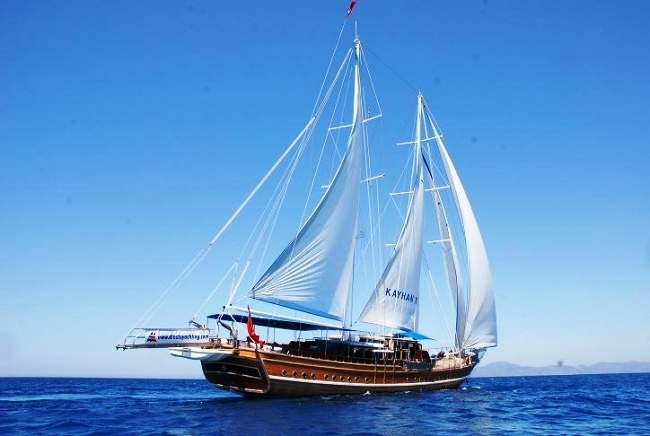 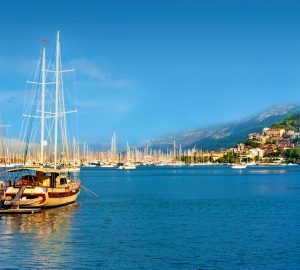 Turkish Gulet Kayhan 10 is based in Fethye near Gocek and Dalaman airport. 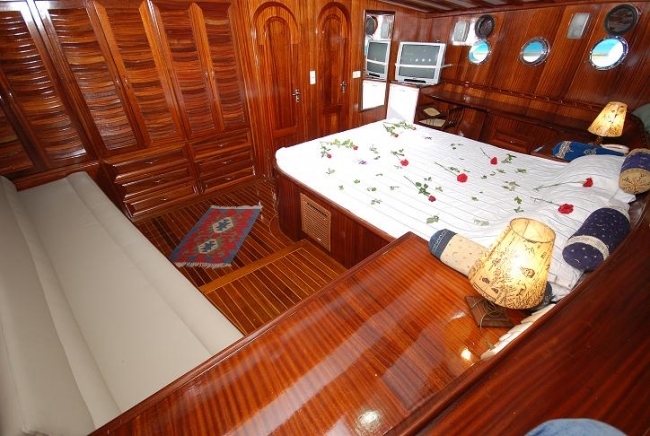 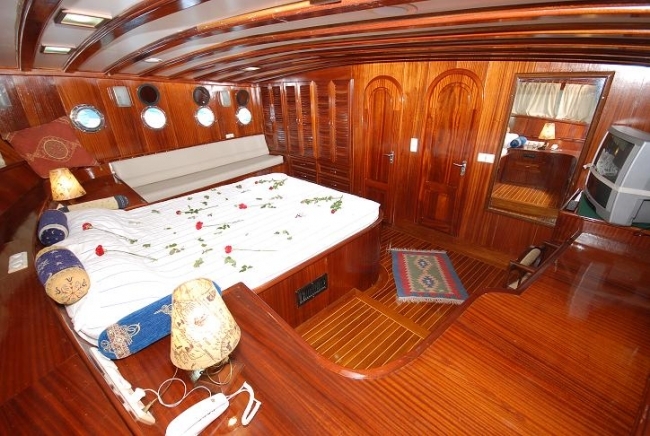 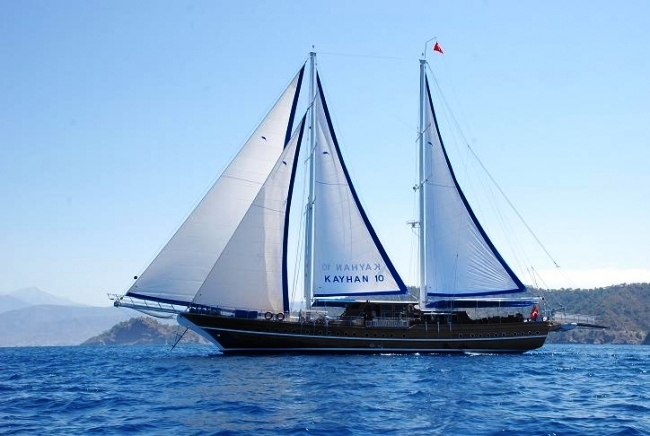 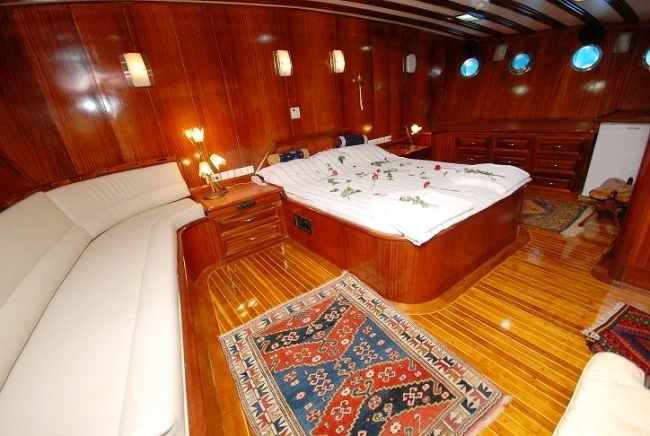 Built in 2002 but refitted in 2008, Kayhan 10 is in excellent condition. 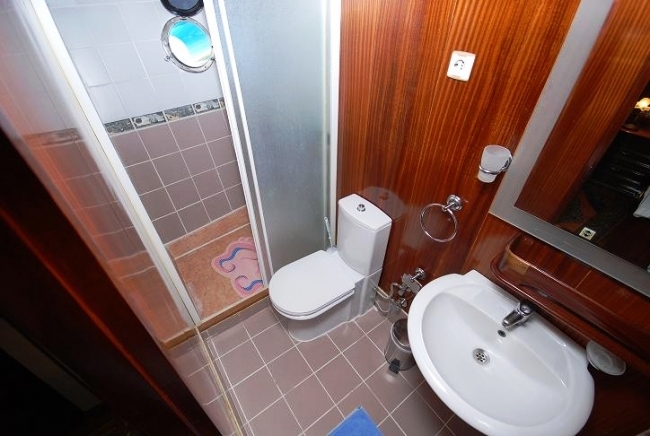 She offers comfortable accommodation for 12 guests in 6 spacious cabins, each with a dedicated bathroom, toilet and air-conditioning. 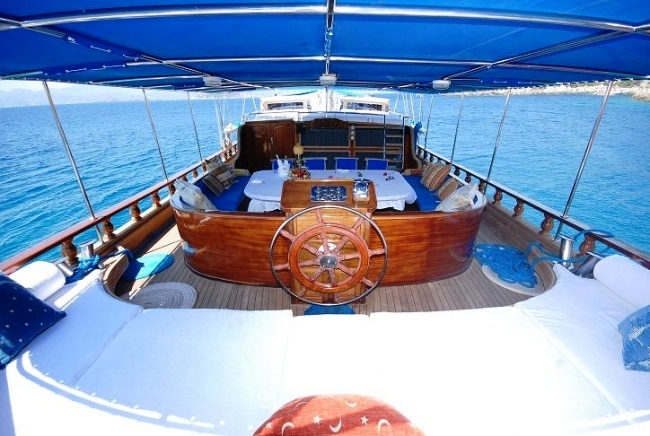 Kayhan 10 Gullet has an excellent deck layout with two large spacious alfresco dining areas, sunpads and sunlounges where guests can relax and soak up the Mediterranean sun. 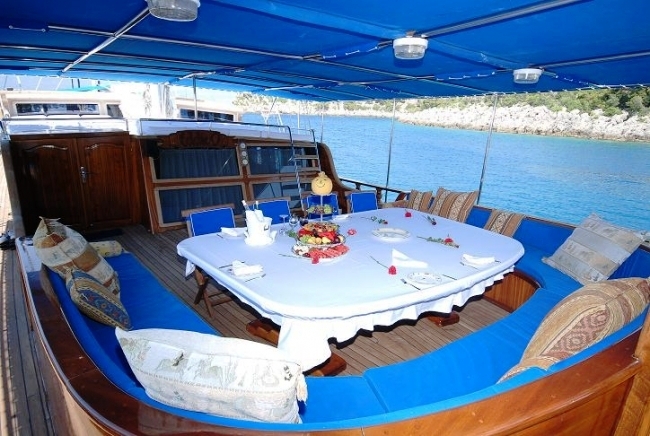 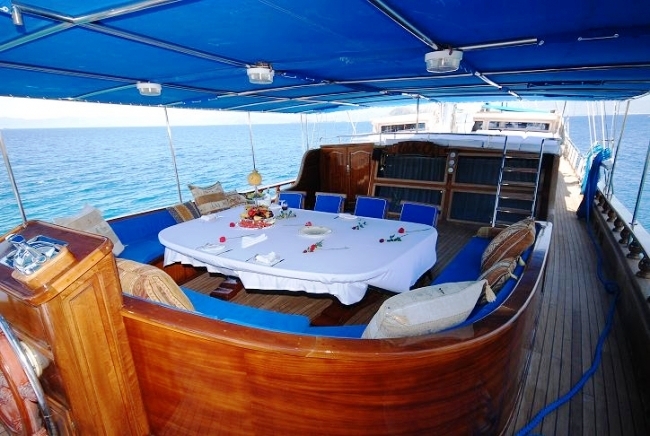 With 4 dedicated professional crew, Kayhan 10 offers guests a true taste of Turkey. 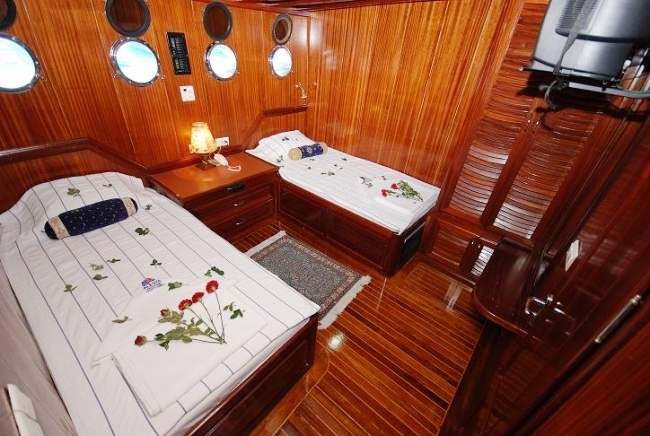 She offers comfortable accommodation for 12 guests in 6 spacious cabins, each with a dedicated bathroom, toilet and air-conditioning. 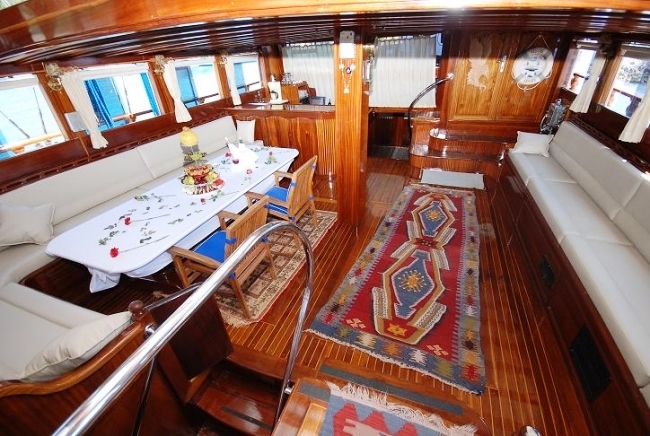 Turkish Gulet Kayhan 10 is equipped with a range of facilties and toys including: a tender with outboatd, waterskis (extra cost), snorkeling, fishing equipment & a barbeque. 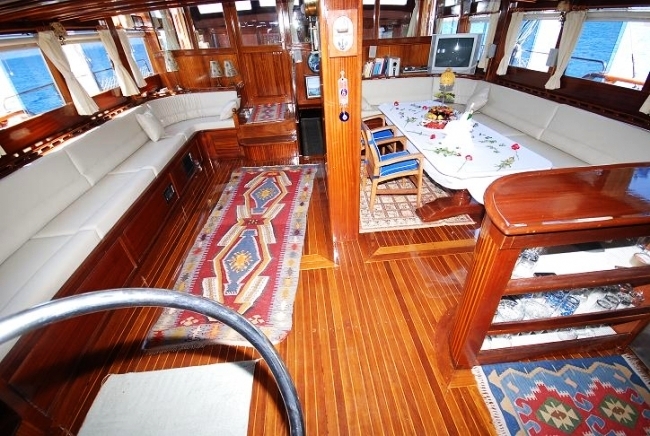 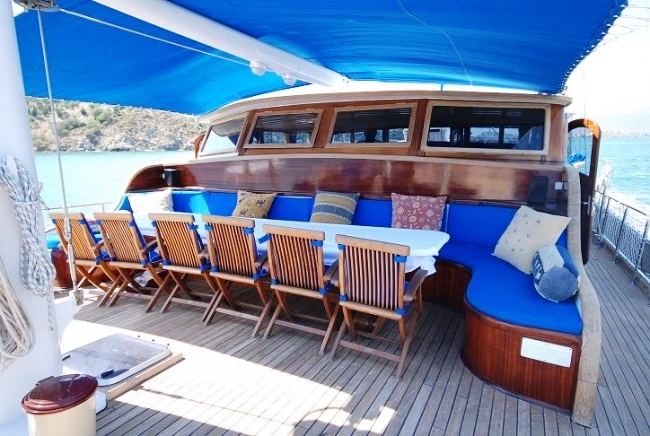 The salon is eqiupped with a TV and stereo system; the yacht is fully air-conditioned.